Take advantage of a unique chance! In a two-day school of imitation you master all the secrets of American cuisine. Captured Jim Donson unselfishly delivers BBQ tips and tricks. 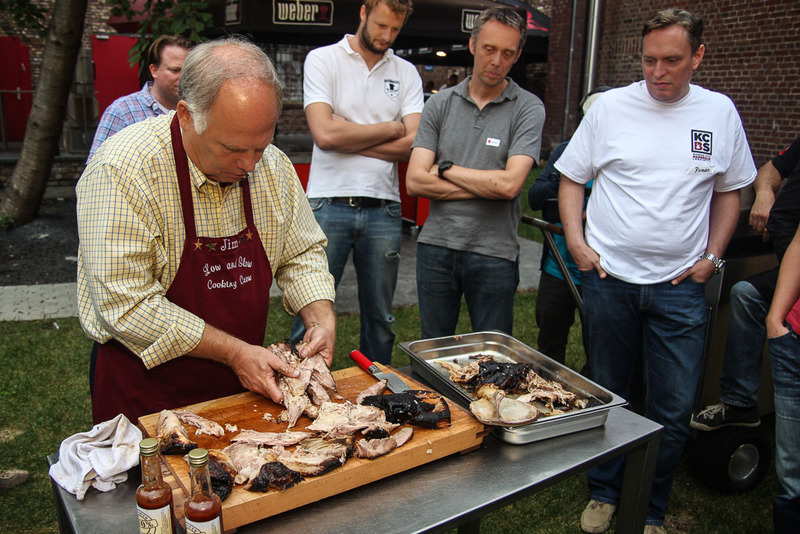 In a two-day class, you’ll learn how to grade world-class chicken, pulled pork, ribs and brisket – and taste them during the process! - 30 plus years of cooking on the Memphis In May and KCBS BBQ circuit. 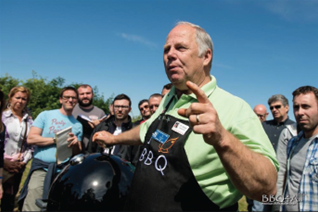 -	Jim is the only international BBQ instructor for KCBS. Since 2011 he has traveled to: the Netherlands, Denmark, Belgium, Italy, Germany, UK, Estonia, Czech Republic, Hungary, Canada, Australia & Costa Rica. -	Cooked for President Bill Clinton, Tennessee State Senator Fred Thompson. -	Assisted NBC Weatherman Al Roker when he competed in Memphis in May. -	Featured on the Paula Deen Food Network. -	Cooked for Mark Sanford – Sitting governor South Carolina ’07. Jim has it's own TV show, you can watch him here. Becky’s business career in the travel industry spanned over 20 years of which the last 10 years she specialized in International Travel. This proved to be very helpful when she was presented the opportunity to travel and teach the “low and slow” Southern Style of cooking barbecue. For the past 9 years she cooked both Memphis In May and KCBS competitive circuits, finishing in the top 10 teams several years. She formed her own team, Becky Sue’s BBQ, and competes under that team name today, when time permits. She has traveled for the past several years throughout Europe and Canada assisting her husband Jim with class instruction inSouthern Style BBQ, In 2011, she joined the official KCBS International Outreach Team to promote this style of American Barbecue cooking and competing. Becky also assists in the cooking class that they offer the International teams at the Jack Daniel’s International BBQ.